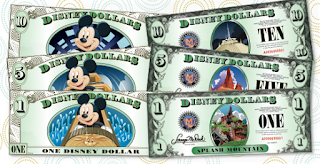 No more Disney dollars after today. The colorful currency has been around since 1987, but Disney has decided to do away with it for several reasons. Don't worry. If you still have some its still good. There's no expiration date. Lots of people have been collecting the funny currency, and I expect that practice will only increase now that they're not printing them it any longer. In Azusa, California, where I graduated from high school (1968), police found a kid roaming around on busy Foothill Boulevard. The kid (actually a baby goat) is fine, and the Azusa Police Department would like the owner to come and get him. If you happen to live in the area and know where this roaming kid belongs, call (626) 812- 3200. 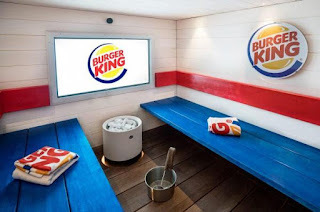 If you plan on visiting Finland in the future, don't pass up a chance to go to the world's first Burger King Spa. Try to imagine all the fun you can have there. Beside a sauna and showers, the spa has a media lounge with a 55-inch television and a Playstation 4 game console. I'm waiting for McDonalds, and Taco Bell, to open their spa versions in a country closer to me - like in the United States! Why are candles thought to be romantic?